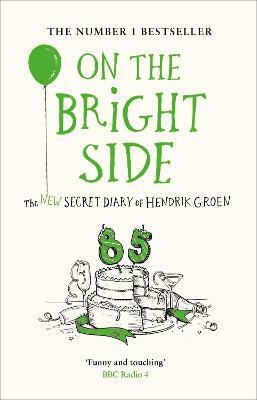 The new diary from one of literature's most beloved octogenarians.On The Bright Side picks up where The Secret Diary of Hendrik Groen left off, at the care home of the anarchic Old-But-Not-Dead Club where Hendrik and his friends are determined to enjoy their autumn years full of ... read full description below. Hendrik Groen started his diaries on the literary website of Torpedo magazine. He says about his work- 'There's not one sentence that's a lie, but not every word is true.' His first diary, the international bestseller The Secret Diary of Hendrik Groen, 83 1/4 Years Old has been translated into over thirty languages and is being adapted for television. His second diary went straight to number 1 in the Netherlands. He is currently working on a standalone novel. Hester Velmans is the author of two popular children's novels and a translator specializing in modern fiction. Her translation of Renate Dorrestein's A Heart of Stone won the Vondel Prize for Translation and was a Barnes & Noble Discover Great New Writers selection. Her translation of Lulu Wang's The Lily Theater was a New York Times Notable Book of the Year. Her children's book Isabel of the Whales now has a sibling- the second in the Whales Series, Jessaloup's Song (age 10 and up).